Marking the 50th anniversary of the legendary, history-making march, Paramount Home Entertainment has added Ava DuVernay’s moving epic Selma to its line-up, scheduling a Blu-Ray Disc and DVD for release in early May. Director Ava DuVernay delivers the incredible story of how Dr. Martin Luther King Jr. led the epic march from Selma to Montgomery to secure equal voting rights in an event that forever altered history. The film will be available as a DVD version, featuring the movie, along with a look at the National Voting Rights Museum and Institute and Selma Student Tickets: Donor Appreciation. 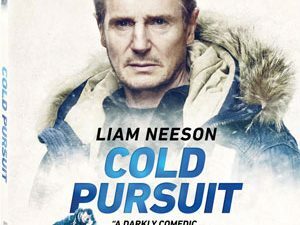 The Blu-Ray version will offer a 1080p high definition with English 5.1 DTS-HD Master Audio and will be packed with bonus materials, spearheaded by two Commentary Tracks. The first one features director Ava DuVernay and actor David Oyelowo, while the second features director Ava DuVernay, director of photography Bradford Young and editor Spencer Averick. In addition, you will find Deleted and Extended Scenes on the release, as well as Historical Newsreels and the Featurette ”The Road to Selma”. 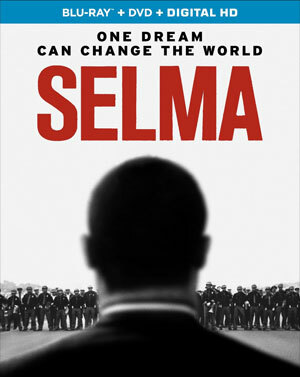 Also included is the Featurette ”Recreating Selma” and the “Glory” Music Video featuring John Legend and Common. The release is rounded out by a Photo Gallery and the National Voting Rights Museum and Institute and Selma Student Tickets: Donor Appreciation segments also found on the DVD. “Selma” marches onto home video on May 5 for $39.99 as a Blu-Ray/DVD + DigitalHD version and $29.99 on DVD.